I was shelving books at the library where I worked. 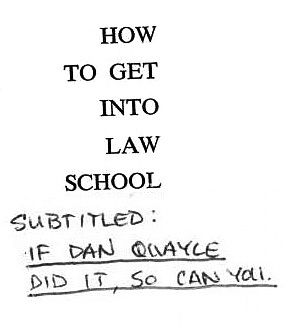 I opened one up called “How to Get Into Law School” and noticed a little note stuck right below the title on the title page. I was especially impressed that the person cared enough about the book to write the message on a Post-It rather than the page of the book! I would like to find this person and ask them to subtitle more books.